Drones are ridiculously fun to fly and build, and most hobbyists(myself included) consider drones to be a bit more of an, er, obsession rather than a hobby. Some people don’t even build the larger drones and directly jump into micro drones! But don't take them easily; building micro fpv quadcopter is delicate process. So if you're just beginning we featured recommended whoops to start with, best micro fpv quads aka whoops, currently avaiable on the market. BEST 1S Micro FPV Quadcopters 2019. BEST 2S Micro FPV Quadcopters 2019. Over the past few years since drones have become really mainstream, the whole industry has seen a huge shift - there was a time when everyone was building huge 450mm+ copters, and gradually the trend has shifted to the crafts getting smaller and smaller. Nearly nobody builds 450s anymore(nobody needs to, either, because quadcopters like the DJI Phantom are just so damn good), and everyone is building 210 quadcopters or less. Even the stalwart ZMR 250 is now a relic! In our overview on Racing Drones we're more talking about mini quad's if you're interested in above 150mm configurations. There you can explore more insights on different parts, equipment and tools . The short answer: A micro drone is a drone that can support 3” propellers or less, ranging in 110 - 150 mm frame and weighs less than 250 grams. Below 110 mm we enter the micro whoop segment that was popularized by Tiny Whoop few years ago. Obviously, the smaller the craft, the more agile it is going to be. ​So miniquads were large enough to support 5 inch propellers. ​Then there was a short craze where people started developing designs around 4 inch propellers, but those did not really catch on - perhaps it’s because 4 inch copters were not quite as agile as smaller copters and not quite as fast as larger copters. Once you get to 3 inch props, you’re in the micro zone. Any copters that support 3 inch or smaller propellers are micro drones, less then 2 inch steps into whoop-micro segment, although there's no clear clasification. The micro revolution owes itself to the FAA ruling some time ago that all UAVs that weighed more than 250 grams had to be registered with the FAA, and a license number must be displayed clearly on the craft. Obviously, not everyone was happy about this new regulation, so designers and manufacturers jumped to the challenge of making a quadcopter that was both fast and agile, as well as under the 250 gram limit. ​Note that 250 grams meant including the battery. ​So people began developing micro frames, and also technology that was ideal for these small builds - so you had tiny ESCs, tiny motors, and tiny flight controllers. In fact, frames are getting smaller and smaller, as are flight controllers and ESCs - and manufacturers are supplying the market with small enough batteries to prolong flight times. Micro HD FPV Cameras are slowley entering the whoop category. Following their excellent model Mobula 7, Happymodel is releasing 'Cine-Whoop' Version on the market in 2019. This could mark evolution in bellow 90mm configurations now able to record at 1080P Resolution. To find best micro quadcopter for your taste, you have to know what are you looking for. Micro quadcopters come in two flavors: brushed and brushless. This refers to the type of motor that is being used. ​A brushed micro motor is as the name sounds - there are two brushes inside the can of the motor which supply current and make the motor spin. In a brushed motor, only the shaft of the motor will spin. ​A brushless micro motor has no brushes, as the name suggests - instead, current is supplied through copper coils, which get magnetized, and cause the bell of the motor(the outer covering, which has magnets on the inside) to spin. In a brushless motor, the entire bell and shaft both spin. Brushless motors are larger and a little heavier, and require more power to spin - but they’re also faster. Brushed motors are really tiny, but can’t handle more than 4.2 volts(usually), and their performance degrades over time, so you’ll have to replace them after 7 hours of flying or so. Check our brushless motors guide to get into specific details. The Tiny Whoop is arguably the king of all micro whoop drones. We’ve covered it plenty when whoop madness started. For an indoor flyer that’s safe to fly around kids and in the tiniest of spaces. The 1S (3.7V) and 2S (7.4V) indicate the maximum voltage the whoop can handle. 1S quads can either be brushed motors of sizes 6X15mm or brushless motors of sizes 0603 or even a 08025 on a slightly larger quad like the Emax Tinyhawk for example. 1S is perfect if you plan to fly indoors and strictly indoors only. 1S usually lacks the punch to fly outdoors, meanwhile a 2S is powerful enough to fly outdoors where you have considerable control over the quad even in mild windy conditions. 2S quads can be also flown indoors too, but they are too powerful to handle. You will just keep bumping into things unless you have a bigger house. If compared from a price point of view both the brushed and brushless quads cost the same. For a long time brushed motors were the choice for a tiny whoop builds and people would get tired of changing brushed motors which have a life span of approximately 100 flights. Hence brushless motors were introduced, not only do brushless motors last long they are much more efficient too. It all boils down to what kind of flying you want to with your quad. If it’s strictly indoors a 1S quad will suffice, but if you plan on flying in your backyard the extra power from the 2S will definitely help in flying quads and are the better choice. The quad comes in 2 versions - BnF (bind and fly) and PnF(plug and Fly). The BnF version comes with a Frsky D8 receiver built into the FC. The PnF version comes with a transmitter to control the quad and FPV goggles. This quad is perfect for those looking to get into FPV. With the growing popularity of 1S whoops, Emax just released their version of the 1S whoop under the name Tinyhawk. This quad has a larger frame of 75mm paired with 08025 brushless motors. The F4 processor is a cool thing and the quad will not miss out on the cool features of Betaflight. To cope with the larger motors, the stock batteries are HV 450mAh capacities ensuring 3.5-4 min of flight times. This is also the first quad to feature a stretch X frame, when all the other quads in this class feature a true X frame. The frame is really durable and can take a beating. The large brushless motors have enough power to fight mild winds. The Emax TinyHawk is a great whoop for those planning to fly indoors as well as outdoors. This is the only quad in our list that features a brushed motor design. We do not argue that brushless motors are better than brushed motors in every way, but having a lot of power may actually be a bad thing. As the quad become less powerful they have less momentum when they crash and don’t get severely damaged. Brushed motors are still fun to fly as they are small, more controllable and the replacement parts are cheap. The Acrobee can be configured with 3 sets of motors- silver, gold and black motors. The silver motors are a blast to fly indoors, but are a disappointment outdoors. Silver motors can barely keep up with the slightest of winds and probably this is why NewbeeDrone does not recommend them. The gold motors definitely offer an upgrade power wise but still struggle outdoors. The acceleration from the gold motors is quick to get up to maximum acceleration. You kind of lose up on this advantage when you are flying indoors because of the shorter flying paths. The black motors have a performance between the silver and the gold motors. The UR65 has been succeeded by the UK65/US65, but the UR65 is still a good buy today. It was one of the most popular micro drones in 2018. It’s really affordable and still great micro fo indoor whooping. The UR65 is a 65mm sized quad. It runs a crazybee F3 flight controller which can be configured using Betaflight 3.3.0, same as the larger sized quads.. The batteries that come with the UR65 are high voltage LiPO’s which have a larger capacity and hold more charge which directly results in higher flight times. Flying the UR65 indoors can be a blast even though they are equipped with smaller motors. You really wouldn’t want a larger motor unless you have a large house. For a few dollars more consider buying the standard which comes with 2 extra batteries and a parallel charging board that can charge up to 6 batteries simultaneously. Overall this is an ideal platform and a good beginner’s quad to learn FPV. Eachine US/UK 65 is a brushless micro quad which can be bought with a lot of additional gear, like spare batteries, charger for charging multiple batteries, 3 different transmitter receivers and on top of all that the drone is surprisingly fun to fly. The US65/UK65 is a drone manufactured by Eachine. This is a very similar quad to the UR65 but with the more powerful 19000kv motors. But the increase is not noticeable because of the heavier and stiffer frame. The camera has smart audio added to the vTX where you can change the channel through Betaflight OSD, an option which the UR65 lacks. They have a hydro dipped paint scheme resembling the national flags of the US and UK. The frame itself is a lot fragile than the UR65, probably because of the dipp technique - which made the plastic frame weaker. A small downside to US65 is the reduced flight times on stock batteries. The supplied 250mAh batteries last a mere 2.5-3 minutes. This reduction in flight time is due to the powerful motors and a heavier frame. But hey you can always use larger batteries if the flight times are a concern or you can buy additional batteries for more number of flights. Snapper7 comes with rounded canopy with alluminum propeller guards. Although bumpers look strong, the aluminium guards tends to bend in stronger crashes. Snapper 7 frame is around 75mm. Weight of the drone is around 30g without the battery. Unlike the URUAV65 or the US65, the Snapper7 has a larger frame of 75mm which is 10mm larger than the UR65 and US65. These quads come with 0703 brushless motors which are larger than the above seen whoops. They come with a 450mAh battery which is enough to deal with the current draws and yield considerably higher flight times. The Snapper7 has a heavier dry weight of 28g. This increase in weight is due to the prop guards being cast from 7075 aluminium which are integral for the rigidity of the frame. There are a lot of whoops in the market that have been less than perfect due to either it being underpowered or having lower flight times, but this quad is the perfect balance between both power and flight times. The flying characteristics is exceptional for such a heavily modded whoop. The flying times are around 3-3.5 min and this time reduces outdoors. The quad flies great in indoors with a 1S battery and has tons of power on 2S to fly around your backyard. The adjustable camera helps to change the angle of the camera depending on your flying. 2S whoops are great flyers indoors as well as outdoors. 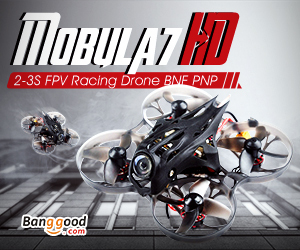 First on our list of 2S capable quads is the Happymodel Mobula7. Following the success of the Snapper7, a bigger more capable 2S quad was released by Happymodel. A setback for a quad in this range is it still uses an outdated F3 flight controller, while some quads like the Beta75 Pro2 offer F4 Pro flight controllers. Though we would not be running fast loop times but the F4 would be more future proof. On 1S the Mobula 7 handles quite good indoors and it's awesome you have that option . On 2S you can definitely feel the upgrade in power. The stock 250mAh batteries yield a solid 3.5-4 min of flying times. On a 1S 450mAh with mild throttling can go up to 5-6 min of flying times. The Beta75 pro2 can take 1S as well as 2S batteries. The quad comes with a pin that you can short out the connectors to use 1S lipo. This quad is priced competitively, as compared to the 65x and 75x that were priced at $140 and $150 respectively. These quads are excellent value for money coming from a reputed manufacturer. The motor and prop combo were inspired by success of the Mobula7 and the Trashcan. BetaFPV seems to have picked 0802 12000kv motors to power the Pro2. The lower KV motors do not affect the flight performance much, they may be a little slower than the other quads but are definitely have smoother flight characteristics. The fixed 25mW vTx will definitely have smaller range than a 200mW vTx, but with a quad at this size you will most definitely fly outdoors and range is going to be limiting factor. The batteries supplied are 2 1S 300mAh LiHV weighing 7.5g each. When flying on 2S batteries, the Pro2 had a nice 3 min flight of mixed flying but 1S lacks the power. If you plan on only flying indoors, then you may take a look at the BetaFPV 65 Pro that is intended to run on 1S. Emax Babyhawk is still one of the top ten restless micro’s on the market, especially for the attractive price (banggood). It weights around 74g without battery. The flight time is around 4-5 minutes on the included 300 mAh batteries. If you really don’t want the want the power of a 3” quad, Emax has got you covered by introducing a smaller 2 inch Babyhawk. It comes as BnF or PnF version. It is perfect for beginners but with some tuning can suit racers too. The prop guards are removable and can save upto 7g in weight. With a frame size of 85mm, this quad is relatively heavier than similar sized quads. The 1104 sized 5250kv motors can generate upto 120g of thrust according to Emax. With an AUW of the quad being 87.8g the thrust to weight ratio of 5.5:1 is something to reckon with. The quad features a 520TVL CMOS camera which offers better video quality. On a 300mAh 2S battery, flight times of 4 min can be achieved. But hey, larger capacities yield longer flight time but at the cost of a very sluggish quad. Anywhere between a 300-500mAh battery should work fine. The Babyhawk with its beefed up motors can handle windy conditions quite good. Although other quads would struggle to keep up at 15mph winds, not a problem with the Babyhawk. Trashcan? Funny right. Eachine has launched another successful quad that has caught our attention with 2S whoops in mind. The quad comes with 4 batteries, 2 batteries are used in series to get the 2S voltage. The Trashcan uses a 0803 motor, an upgrade in power over the 0802 motors of the Mobula7. Trashcan has an F4 flight controller which makes it more future proof for the Betaflight updates. A switchable 25mW and 200mW vTx greatly increases the range of the video and also has better penetration through objects. But all these upgrades come at a price, the Trashcan is a whopping 16g heavier than the Mobula7, almost 50%. The stock 1S 300mAh batteries when run in series gives a rather mediocre 2.5-3.5 min of flying times depending on how aggressive you fly. The flight times are marginally lower than the Mobula7 which has a smaller motors and smaller capacity batteries. The trashcan should perform better when maintained at 70-80% throttles. You also get a spare XT30 connector to solder to use with aftermarket batteries. Babyhawk-R is a completely redesigned and reworked Babyhawk drone, aimed at folks who are interested in extreme micro FPV racing. Motors can produce a whopping 178.8g of thrust on 4S. This quad is in league of its own. The Emax is focused towards the more enthusiast crowd that want something the portability of a small quad (ie.., 2” drones) and the power of a larger quad (ie.., 5” quads). The 3” quads checks off both the requirements and 3” quads are becoming more and more common these days due to the portability and the affordability but still not compromising on power. The Babyhawk R (R standing for Racing) is more of a step up to the big leagues and incomparable to whoops. The 1106 motors present on this quad can produce 178.8g of thrust on 4S. With the quad weighing in at around 70g, that is a monstrous thrust to weight ratio of 10:1 while the micro drones (2” and under) struggle at 2:1 or 3:1. The thrust test results can be found here. Any 3S or 4S battery around the 450-600mAh range should be perfect for this bad boy. On a 3S 460mAh Turnigy nanotech the flight times were around 3 min with real hard flying. The 3mm carbon fiber frame will definitely stand up for abuse and crashes. Micro quads are tight builds, and there is very little real estate to work with and quite a few components to fit in. That said, if you have built a larger quadcopter, you already know what to do and what goes where, so it’ll just be a matter of cutting the wires short enough and soldering in tight spaces. A lot of components now combine different things, such as PDB/flight controller combos which make life a lot easier. Still, you need to have decent confidence with a soldering iron and a little bit of patience to put these things together. Fortunately, though, once you’ve assembled it then the copter is nearly indestructible. Build of an 88mm micro FPV drone is same challenge as building any other FPV racing drone. Same parts - same protocols, the only difference is size. It's a bit harder to build a micro FPV drone because it requires some advanced soldering skills in tight spaces. Everything else is pretty much same as in building a bigger quad. To smoothen voltage spikes I have built-in 470uF 25V low ESR capacitor. Additionally, I 3D printed case for HMDVR-s, small low weight DVR that I have soldered directly to FPV camera so it can record clear, noise-free 720p video with this brushless 88mm micro quadcopter. Elf X2 is carbon fiber frame, 88mm motor-to-motor sized. The bottom plate is 2,6mm thick, and the top plate is 1,5mm. It fits 1104 motors and 2" props. Eachine Flytower Minicube is All-In-One and it's easiest way on earth to build a micro quad. It includes the receiver (FrSky/FlySky/DSM) with the built-in buzzer, 4in1 10A Blheli_S ESC, and F3 flight controller. Everything is assembled and ready to use, you need to solder motors, camera, VTX and you're ready to fly. OSD is built-in and you can configure it in Betaflight GUI. FC has LED support, and 2 spare UARTs to connect SmartPort and S-Audio from your VTX an RX. Stack supports 2-3S lipo, same as the motors. HGLRC 1104 motors will provide more than enough power even on 2S lipo. But the real magic comes when you connect 3S lipo . On 3S lipo motors tend to overheat so be careful and check PIDs and PID profiles. It's recommended to setup 2 PID profiles if you fly both 2S and 3S lipos. For 7,59$ a piece these motors are BEST BUY. Caddx Turbo Eos1 is CMOS 1200tvl 16:9 camera with WDR support. Power input range is 3,3 - 9V and FC can power it trough 5V pin. Dalprop Cyclone Q2035c and Emax Avan 2" props are working great on this build, but Gemfan Hulky props don't fit. Dalprops are easy on amps and flight time with 450mAh 2S is about 4:30min, Avans on the other side are crazy on amps and flight time with same lipo is about 3:30min. There are a ton of different frames available, but the coolest micro frames by far (in my opinion) are made by TomoQuads and Flex RC. ​When shopping for a micro frame, you’ll have to see which size propeller it supports, and how big the flight controller mount is. There are either 30.5 x 30.5 mounts (standard flight controller size, found on larger copters as well) or 20 x 20 - which is the new micro standard and is found on new frames. For 3 inch quads, I personally use the Shen Drones Shrieker, but I got the frame a long time ago and it’s still going strong for me, so I have not changed anything. ​If you’re going to get a frame now, check out the Rotor X Atom V3 - it’s tiny and can still be equipped with super powerful motors. F﻿﻿lex RC Piko X The Piko X frame by Flex RC is tiny, with a motor to motor distance of only 88 mm. This cute little thing fits in the palm of your hand, and the whole frame weighs just 10 grams. The reason I selected this frame as my frame of choice for 2 inch props is that it’s compatible with both brushed motors and brushless motors. Plus they have a detachable prop guard which you can take off for outdoor flying or leave on for indoor flying. ​For a brushed setup, I would just suggest the Tiny Whoop and nothing else! The frame weighs just 5 grams, and a built up setup is 19 grams without battery. ​The Eachine E013 Micro is a cheaper alternative. It’s not going to be quite as punchy as a proper Tiny Whoop, but if you have the right batteries you should not have an issue having lots of fun with it. The motor you choose to use for your micro build will largely depend on the frame you choose. Most if not all micro frames have suggested parts lists with them. ​The basic theory of motors is that for larger/heavier(higher pitch) propellers, you need larger motors and lower kV. 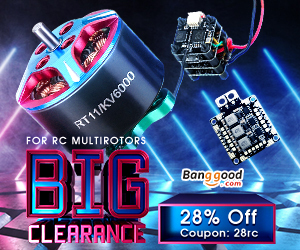 ​For smaller propellers, you need smaller motors and higher kV. That’s why 2” and 1.5” props need motors that are at least 8000kV or higher - otherwise the props just will not provide enough lift. ​For a 3 inch propeller setup, 1407 or 1306 motors are ideal. Both 1407 and 1306 motors will spin 3 inch propellers like a charm, and you can even use them with 4S batteries. If you use 4S batteries, though, it’s safe to use ESCs that are at least 20A, because the motors get quite current-hungry on heavy propellers. If you’re using 3S, then even 10A ESCs will not be an issue. ​For 1306 and 1407 setups, use any small ESCs like the RacerStar ESCs from Banggood or LittleBee ESCs by FVT. They have BLHeli_S firmware and support DSHOT, which is a digital protocol for flight controller and ESC communication. There are other smaller motors you can use for 3 inch propellers like 1105 size motors, but in my experience they don’t really fly that well outdoors and they’re too powerful to fly indoors safely. You may as well have a very powerful outdoor setup, and a tamer indoor setup which uses smaller propellers. For 11xx setups, you will be using 2” or smaller propellers. Remember, the smaller the propeller, the more kV your motor will require. Most frames will have suggested motors - use those and those only. It’s much more critical to go with manufacturer recommendations on micro builds than it is on larger builds. 11xx motors range from 1105 down to 1102, and kV ranges from 5000 kV all the way to 10,000 kV. There are even smaller motors such as 0703 motors which are 15,000 kV(used for super tiny brushless builds that run just 1S batteries, such as the Kosho by TomoQuads). ESCs will depend on the kind of build you’re doing. For super small builds 2” or less, you can get away with 6A ESCs. Other builds will call for 10A ESCs. ​RacerStar makes some really nice ​10A ESC and 6A micro ESCs - for these ultra small builds, definitely use the 4-in-1 ESCs rather than four separate ones. It makes the build a lot easier and cleaner. Micro quadcopters used to be very simple - these were just brushless quadcopters that could fit 3 inch propellers. Not anymore, though. ​There are a whole bunch of different options now available, starting with the might Tiny Whoop. ​The Tiny Whoop is a brushed quadcopter that only weighs 25 grams with a battery. It has tiny propellers - about 40mm in size(1.5” roughly). ​Next up, you have the sub-2 inch propellers. There doesn’t seem to be any systematic organization, as different frames call for different props. ​The Mikro70﻿ by TomoQuads for example uses 1935 propellers(1.9”), whereas the Swirlie by 65drones uses 1.5” props, except they’re cut down from 2035 propellers. Finally, when you enter the domain of 3 inch propellers, there’s a bit more regularity. 3 inch propellers are made by many different companies and there’s a wide variety available. ​These are also the largest ones(even though they’re quite small!). 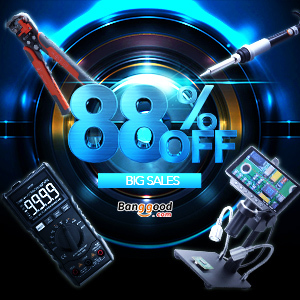 ​Your flight controller will again depend on the kind of frame you are flying. You’ll have to check what kind of mounting holes your frame has, and make sure your flight controller can fit on those holes! ​Other than that, really, any flight controller is fine. The newest flight controllers(F3 and F4 ones) are all Betaflight-ready and support the Betaflight OSD. ​That’s one thing you really must look out for - I happen to love the Betaflight OSD and now can’t remember how I ever flew without it. It makes life a lot easier, since you can change so many settings on the fly and you have all the vital data that you need right on the screen(battery voltage, really) without the need for a separate OSD unit which takes up space and adds weight! ​FrSky: FrSky XM or XM+ - these are tiny receivers that will fit in your micro build like a charm. They don’t support telemetry, but that’s why you have a flight controller with an OSD! Spektrum: LemonRX Satellite rx - this is a really tiny receiver that weights just 2 or 3 grams when you remove it from the casing, and it’s small enough to comfortably fit in a tight spot. FlySky: FS-A8S mini receiver - this receiver is barely bigger than a coin, and weighs 2 grams or so - perfect for a micro quadcopter! Now that most of the build is complete, the last step is to add FPV gear. FPV gear is a little tough to add, because space is so tight. The biggest advantage of the separate transmitter is that you can use the Betaflight OSD - if your transmitter is built into your camera, then you can’t use the OSD. If you’re using option 1, get a Runcam Swift Micro camera (easily the best micro camera there is) and an Eachine VTx03 transmitter - it’s tiny and powerful. ​To record your flight footage, the only option you have for super small builds is using a DVR - either built in through your goggles or a separate DVR unit and receiver. ​However, if you are doing a 3 inch build that has a little bit of room, then you can fit a Runcam Split - which doubles as your FPV camera and records full HD footage. I’ve used the Runcam Split and it shoots awesome footage - if you have the space to fit it, definitely go for it. ​The final piece of the puzzle is the battery. ​This is the most critical part, too, because if you can’t supply enough power, or your battery weighs too much, there is no way your copter will fly well. Let’s start from the top. ​On a 1407/1306 motor build with 3 inch propellers, you can get away with using a 1000 mAh 4S battery and it’ll handle it like a champ. ​All other setups need 3 cells or less, so that’s where things get complicated. ​It’s always best to get the suggested battery for whichever frame you are getting - the designers usually arrive at the ideal battery capacity and cell count after a lot of testing and trials. ​However you may find that certain batteries are not available where you live, so when you decide to pull the trigger on a micro build, make sure the batteries are available first, then go for the build! ​2 inch setups fly fine with 2 cell batteries - and you can upgrade to 3 cells for outdoor flying. ​The max capacity of a 2/3 cell battery is 500 to 600 mah for a micro - anything more and your copter will feel sluggish.